The City of Helsinki drafts management plans for all of its nature reserves and Natura 2000 sites. The aim of the management plans is to preserve the values based on which the nature reserves were originally established. The management plans define the objectives for the management and the means by which these objectives are to be achieved. in regard to recreational use: improve access to the area by restoring paths and increasing guidance and signposting. The most important management measures in regard to Vanhankaupunginlahti’s bird species are the mowing of the coastal meadows and their use as pastures, which help keep the area open. As a result of the interruption in pasturage and post-glacial rebound, many of Vanhankaupunginlahti’s open areas have been claimed by the expanding reed beds and by trees over the decades. Because of this, the most recent management plan for 2015–2024 also proposes that dredging be conducted in the area. 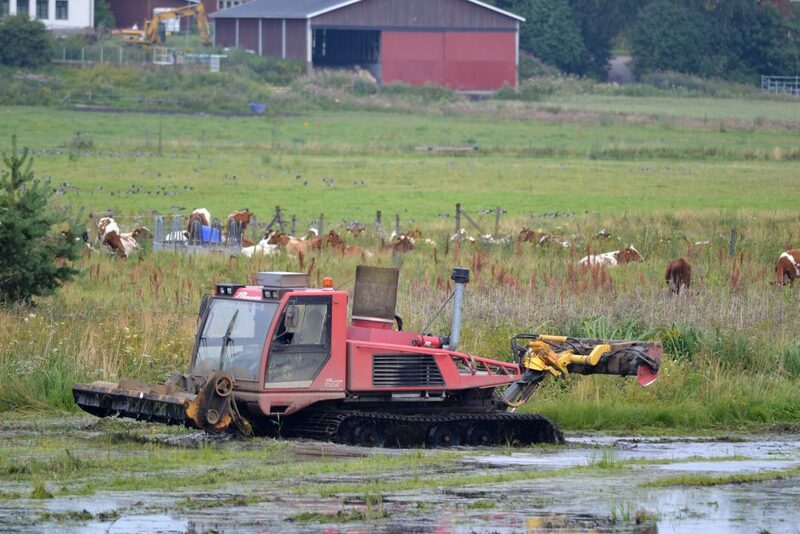 Dredging the channels and ponds located in the overgrowing reed beds can help restore the mosaic-like habitat formed by the reed beds and open water areas. The resulting ponds and channels create additional habitats for birds by providing protected places for birds to roam and seek food in. The best way to preserve and improve the values of the area’s deciduous swamp woods is to leave them unmanaged in their natural state. In these areas, only dangerous trees located near paths are felled and left in place to decay. The area’s coastal meadows are managed by grazing and mowing. Other management measures conducted in Vanhankaupunginlahti include the restoration of paths, duckboards and bird watching towers, as well as the updating of signposts. Have a look at the management plan (in Finnish).